The password that's needed to access the Administration Web Interface and make changes to default Wi-Fi settings. Highlight "Wi-Fi Name/Password" then select Open. 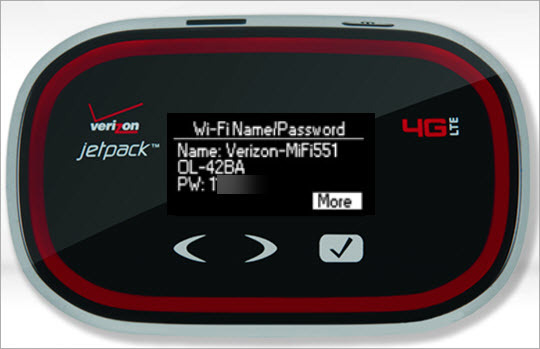 View the Wi-Fi name and password then select More. View the URL and Admin Password then select Close.